When an item in an ecommerce store is temporarily out of stock, the site can add a notice or send a message to a shopper. But what should an online store do when a product is permanently out of stock? If that store simply deleted the product detail page and served up a 404-error page, it may be leaving some link equity behind and, perhaps, leaving consumers with no place to land. This may still be the right way to manage discontinued items in some situations. But rather than completely removing the product detail page, there are a few other things online sellers can do. What follows are five tips for managing permanently out-of-stock items on your ecommerce website. These tips won’t work for every business. But one or two of them could help save a bit of traffic. Reuse the URL for a replacement product. If the permanently out-of-stock item has a close successor, consider using the identical URL for the new item, keeping the aforementioned link equity and bookmarks intact. This approach will work best when the replacement item is essentially the same as the discontinued one. 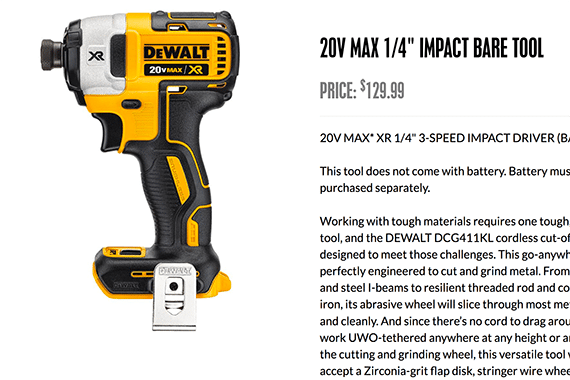 As an example, imagine that a power tool, such as an impact driver, is replaced by a new model with a brushless motor. Many of the specifications are different, but the items are more or less the same, used in the identical way. A store can update the product detail page with the new product data and use the same URL. When you have a clear replacement for a discontinued product, you may be able to reuse the URL. Similarly, if the item is a commodity and a store changes suppliers or brands, you could use the same product page URL and update the information. Redirect to a replacement product. In other cases, there may be a replacement product or a very similar product, but you cannot reuse the URL. For example, imagine a couple of men’s dress shirts — bone white and soft white — in the same style. You sold both of these items; then you learned from the supplier that the bone white version would no longer be made. After your store sells out of this discontinued shirt, 301 redirect any traffic from the bone white product page to the soft white one. If possible, include a banner or notice to let any redirected shoppers know what happened. Convert to a landing page. Some product detail pages could be converted into landing pages. Imagine for a moment a company that sells heirloom seeds to folks who want to raise bygone varieties of tomatoes or peppers. If a particular seed package can no longer be obtained, the product detail page could be converted into an article about the plant. The page might describe the origins of the specific variety, explaining why it was grown, when it was popular, and how it tasted. This landing page could link to similar seeds that are available for sale. Manage category and site search result pages. Although your store may be trying to preserve link equity from the now unavailable product detail page, make sure to remove the item from product category pages and site-search results. Or, at least move them to the bottom of the category or results pages. Remove the product page. 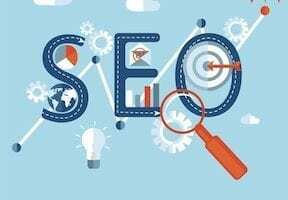 Unless your store has reused or redirected the URL or converted the defunct product detail page into an informative landing page, you will eventually want to remove it from your site. Some products will go away. That is the nature of ecommerce and retailing. How your business manages those products can be unique to your situation. Choose an end-of-life product strategy that makes sense for your online store and ensures that you’re focused on promoting and selling the items your company does have in stock. If your ecommerce store features relatively few products, it can be worth your time to develop a landing page like the seed example described above. But if your site has tens of thousands of products, it might not make sense. Your shop could be better off just deleting the page and generating a 404 error.